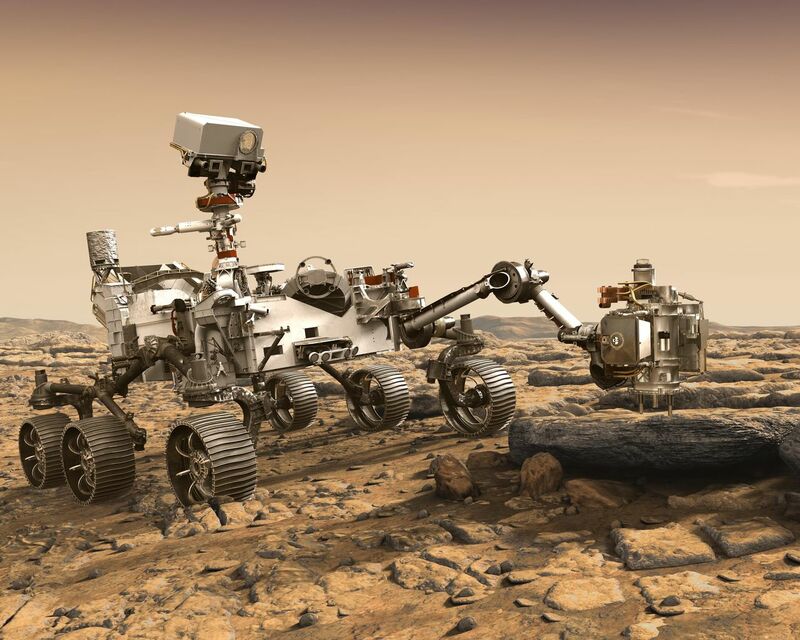 This artist's rendition depicts NASA's Mars 2020 rover studying a Mars rock outrcrop. 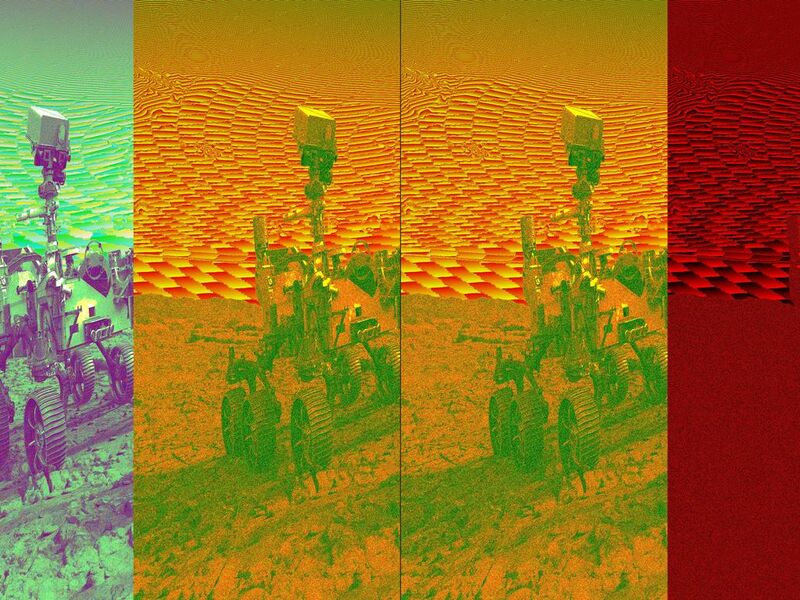 The mission will not only seek out and study an area likely to have been habitable in the distant past, but it will take the next, bold step in robotic exploration of the Red Planet by seeking signs of past microbial life itself. Mars 2020 will use powerful instruments to investigate rocks on Mars down to the microscopic scale of variations in texture and composition. 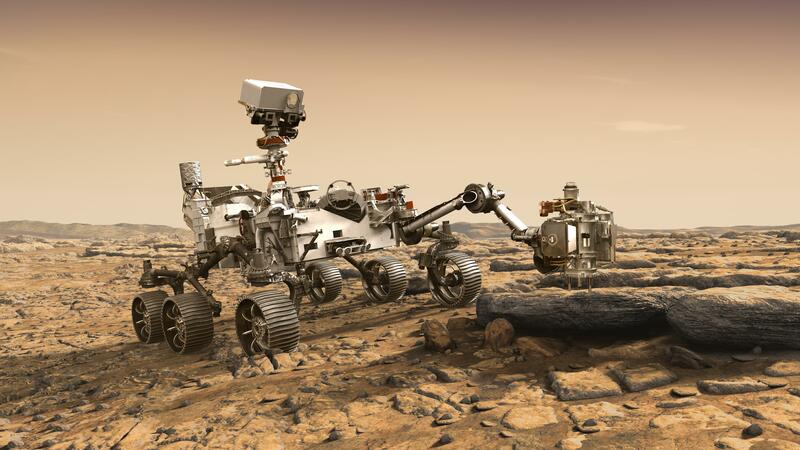 It will also acquire and store samples of the most promising rocks and soils that it encounters, and set them aside on the surface of Mars. A future mission could potentially return these samples to Earth. Mars 2020 is targeted for launch in July/August 2020 aboard an Atlas V-541 rocket from Space Launch Complex 41 at Cape Canaveral Air Force Station in Florida. 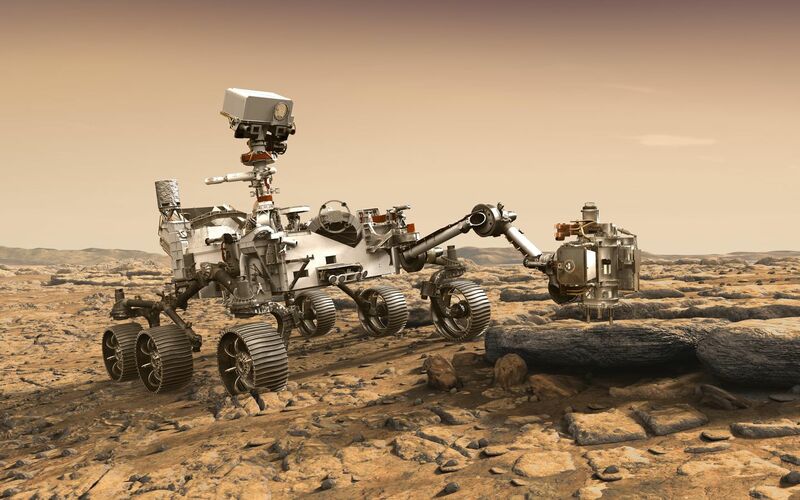 NASA's Jet Propulsion Laboratory builds and manages the Mars 2020 rover for the NASA Science Mission Directorate at the agency's headquarters in Washington. For more information about the mission, go to https://mars.nasa.gov/mars2020/. Photojournal Note: Also available is the full resolution TIFF file PIA22105_full.tif. This file may be too large to view from a browser; it can be downloaded onto your desktop by right-clicking on the previous link and viewed with image viewing software.